Psalm 27:1 The LORD is my light and my salvation; whom shall I fear? The LORD is the stronghold of my life; of whom shall I be afraid? Wishing you a Monday full of love and acceptance! Cucumbers! They are everywhere, taking over my garden, in my CSA pickups, oh my! 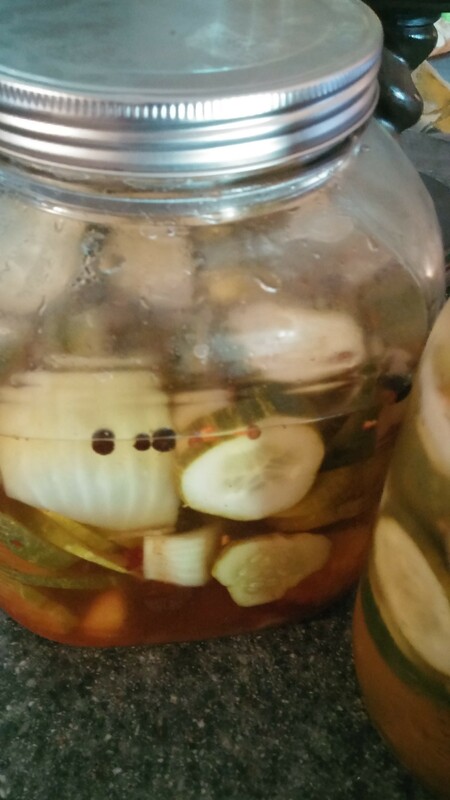 What to do but make refrigerator pickles! They are super simple to do! ENJOY this newest recipe from my kitchen! 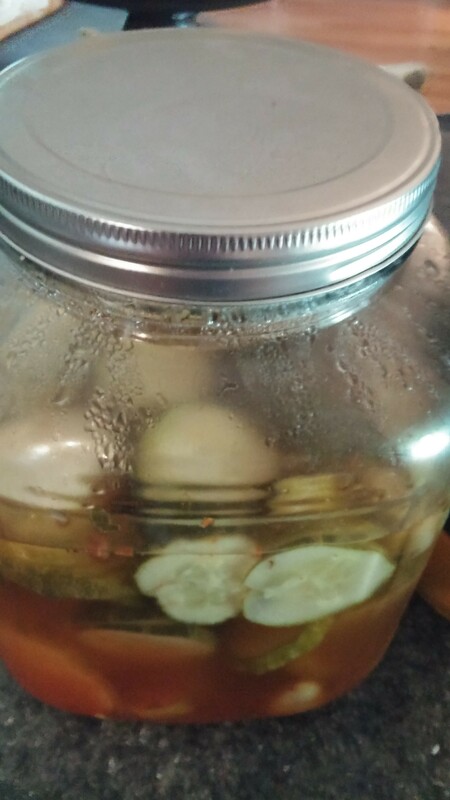 Place these in a large jar. 1/2 onion cut into chunks. Once comes to a boil, pour over the cucumber mixture. Allow to cool then place lid on and put in the frig. Let sit at least 4 hours before serving! MMMMM Good!